Merchants that use PayPal can now leave the house and still get critical information about their sales. Go ahead, enjoy the sunshine, the PayPal Here app has the information you need in your pocket. In a post today, the transaction company announced that in the coming weeks PayPal Here would be adding a new mobile Sales Report feature to its iOS and Android apps. 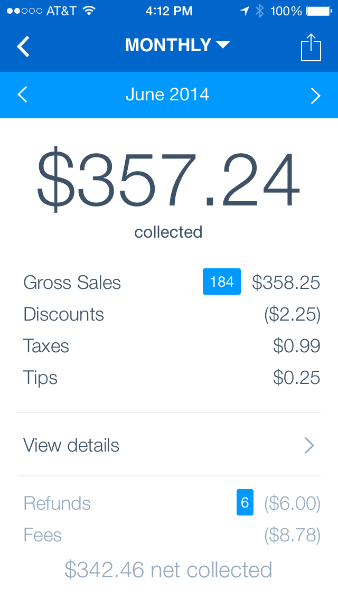 With the feature, merchants can keep track of transactions, sales history and what customers are using to pay for their services. The new feature will also have access to a merchant’s best selling items, highest performing employees and total sales. These reports can be emailed, printed and exported to a spreadsheet. So when you return from your mid-day frolic, you can show the rest of the team how well the business is doing.